We strive to provide comfortable and advanced treatment for all of our patients. Dr. Rumalla can perform a comprehensive scope of face, breast, and body procedures at our fully accredited surgical center. Please contact us to help answer any questions you may have. 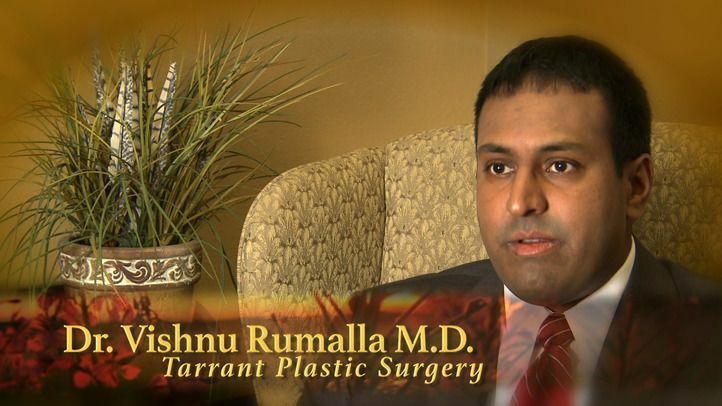 Dr. Vishnu Rumalla grew up in Arlington. He attended the University of Miami for his undergraduate and medical school education, earning his bachelor of science and doctorate of medicine degrees. After medical school, he completed his general surgery training at the University of Medicine and Dentistry in New Jersey. He completed his plastic surgery fellowship at Indiana University. Today, he is a diplomate of the American Board of Plastic Surgery. Throughout his travels during his education and training, Dr. Rumalla was always focused on coming home and practicing in Tarrant County. He has established his presence here at Tarrant Plastic Surgery as an accomplished board-certified plastic surgeon, and welcomes all patients to visit his practice serving the greater Fort Worth, TX, area. Like a true Texan, Dr. Rumalla prides himself on being involved in every step of the surgical process. He works closely with his patients from the initial consultation through post-operative visits. This close involvement is one of the reasons why his patients are so consistently satisfied with their experience and their results. Patients interested in the many services provided by Dr. Rumalla can conveniently visit him at one of our three locations. For patients near our Fort Worth office, you can find us just south of I-30. Just like our other locations, you can have your cosmetic and cancer reconstructive needs met by starting at our Fort Worth office. Other patients may find our Keller office, situated on Keller Parkway, a bit more convenient. All of our locations, including the Keller office, are within minutes of many local hospitals where Dr. Rumalla retains privileges to perform advanced surgical techniques for his patients. Dr. Rumalla also founded the Southlake Surgery Center at his Southlake office. This surgery center is AAAASF certified, and equipped with state-of-the-art equipment that helps him provide the most modern cosmetic and cancer reconstructive services available today. We were able to help our patient achieve a taut midsection with a full abdominoplasty incorporating muscle repair and minor liposuction. Dr. Rumalla feels that each patient encounter is extremely important, thus each member of the team is here to make your visit both pleasant and informative. Fundamental to the practice philosophy is that not all patients are alike and that there is no such thing as a "cookie cutter" operation. Dr. Rumalla feels confident that through your consultation he will devise a customized plan which best addresses your needs and goals. To optimize your results, Dr. Rumalla utilizes emerging technologies like video imaging, endoscopic surgery (minimally-invasive surgery), and pain pumps which can dramatically reduce post-operative discomfort. Finally, to increase your peace of mind, Dr. Rumalla participates in the industry leading CosmetAssure program. 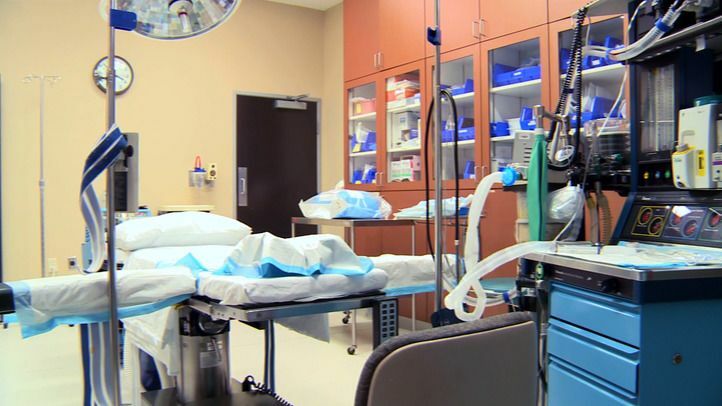 The Southlake Surgery Center is a cutting-edge facility accredited by Quad ASF. This means that the center meets the strictest standards of oversight. Patients can expect compassionate and optimally safe care, along with outstanding surgical results. With over a decade of experience in medical assisting, Ms. Barboza helps make every patient's experience convenient and rewarding. Ms. Valenzuela will often obtain medical histories and help Dr. Rumalla with surgeries and post-operative wound care. DeDe Hulett provides laser and skin care services. She can help meet your skin maintenance and make-up needs. Valerie coordinates insurance, conducts the insurance pre-authorization process, and handles the scheduling of many surgeries. Erica coordinates cosmetic procedures and will be your point of contact throughout the process of booking your surgery. Audra provides advanced laser and skin care services. She can help you maintain healthy skin and find flattering make-up. Ashton is one of our licensed medical aestheticians. She provides advanced laser and skin care services to patients every day. Our patient was seen at the Fort Worth office and had surgery in Southlake. She had a full abdominoplasty with muscle repair and also had liposuction to the flanks. Further examples of tummy tucks can be found under the mommy makeover picture gallery. Tummy Tuck or Panniculectomy: What’s Best for Me? Why Do the Lips Thin with Age? Which Thigh Lift Technique Is Right for You?